Post Name : SDM, DSP, Tax Officer, Tahsildar, ACF, RFO etc. 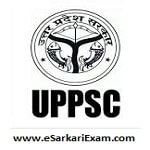 Eligible Candidates can Download UPPCS Upper Subordinate 2018 Pre Exam Admit Card at the Official Website of UPPSC. Click on Download Admit Card PCS/ACF/RFO Pre Exam 2018 Link.